Custom built for sailing, comfort and fun, the Liberte is a grand experience for all. Our cruising grounds are some of the most beautiful and historic in the country. The captain and crew are dedicated to your safety, comfort and enjoyment. USCG certified for 49 passengers. Music. Full bar. Every Sail is Unique. The original hull design by Dudley Dix is a Hout Bay 70, a two-masted gaff-rigged schooner intended as a heavy but fast offshore cruiser. 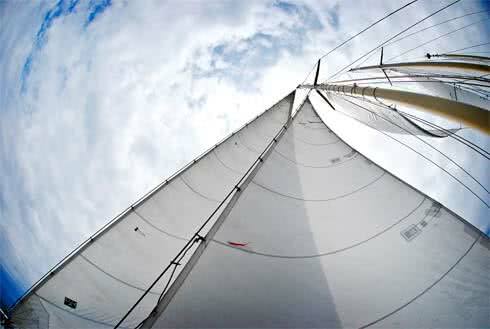 Many alterations were made to the design, including adding a spoon bow, scaling down the lines to meet U.S. Coast Guard parameters, redesigning the deck layout and adjusting the rig to a three-masted staysail design.